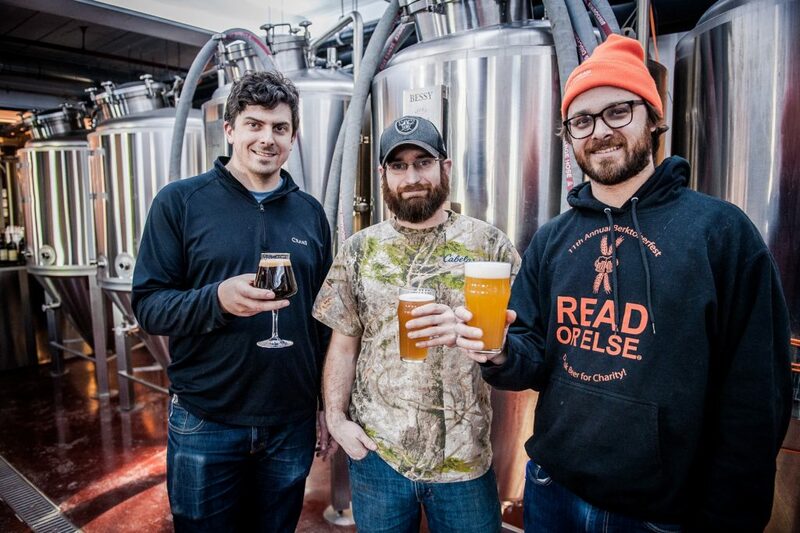 From left: Shire Breu-Hous owner/brewer Andrew Crane, brewer Mark Geibel, and owner/brewer Nick Whalen. Photo by Nick Whalen. A corner of the Shire Breu-Hous dining room. A golden stout called “Golden Facade,” which Shire Breu-Hous brewed in collaboration with Bright Ideas in North Adams. Photo by Nick Whalen. The motto for the town of Dalton is “heaven in the heart of the Berkshires.” And much like heaven, a lot of people never make it there. With fewer than 7,000 residents, Dalton is a sort of transitional space in rural Massachusetts, cushioning quiet little towns like Windsor and Peru from the busier Route 7 corridor, which runs from Great Barrington through Pittsfield and up to Williamstown. A golden stout called “Golden Facade,” which Shire Breu-Hous brewed in collaboration with Bright Ideas in North Adams. Many of those traveling west from the Valley simply pass through Dalton, continuing on to Pittsfield a few minutes down the road. Dalton has a small handful of restaurants, churches, gas stations, and a mighty fine package store called Kelly’s. 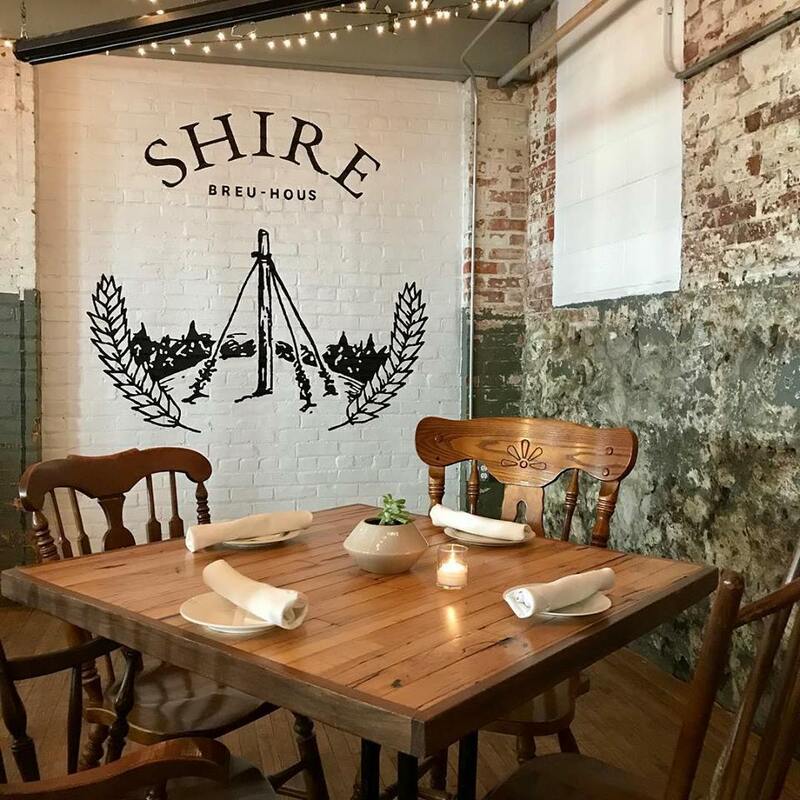 But since August 2017, the town has been home to an ambitious brewpub called Shire Breu-Hous, which is developing an under-the-radar following in the basement of the Stationery Factory. Co-founders and brewers Andrew Crane and Nick Whalen run a full bar with liquor and wine, and they serve seasonal menus in the dining room. 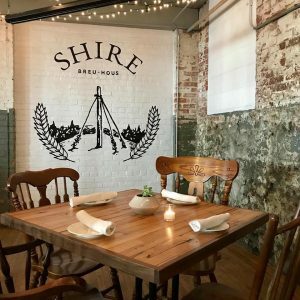 Shire Breu-Hous is open for dinner Wednesday to Sunday, with brunch on the weekends as well. The well-rounded list of food options range from small meals and snacks like nachos, flatbreads, and french onion soup to larger entrees like shepherd’s pie, rack of lamb, pan-seared trout, and tagliatelle. But it’s the in-house beers — typically a dozen on tap — that attract the crafty set like myself. 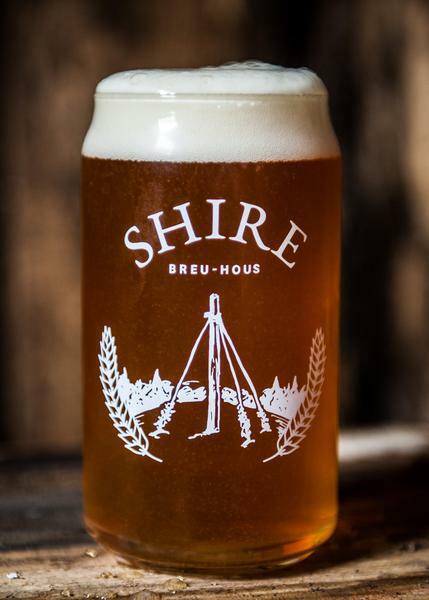 The flagship beers on the Shire Breu-Hous tap list includes the Mosaic dry-hopped Pioneer Pale Ale, the Firemen’s Red Ale, the Policemen’s Porter brewed with cold brew coffee from No. Six Depot roastery in West Stockbridge, a New England IPA, a double IPA, and an imperial milk stout called Colantha Mooie, made with floor-malted chocolate malt and lactose. Aside from those reliable best-sellers, the tap list also features (for the moment) more unusual recipes like a gose sour brewed with key limes, a Berliner Weisse fermented with elderberries grown in the nearby town of Savoy, a strawberry milkshake IPA, and a lager brewed with just a hint of mint, which is picked from plants that Crane’s family has been growing in Dalton for more than a century. Crane and Whalen know this subdued patch of the state like their own backyards. They were best friends in middle school, attending the same classes at Berkshire Country Day School. Then the world got a lot bigger. Crane became a mechanical engineer, although he developed a taste for homebrewing in his off-hours. Whalen worked around the world as a freelance photographer and photojournalist, including several years in Haiti, before ending up in New York City, where he began brewing single-gallon batches of beer in his apartment. In 2013, in their mid-20s, Crane and Whalen ran into each other in the Berkshires on Christmas Eve. Intrigued by a shared interest in craft beer, they followed up a few months later in Brooklyn, where they shared a bottle of Crane’s home-brewed golden tripel ale. That’s when plans for the business started to get serious. “We reconnected, sat down and had a couple of beers, and about eight hours later we were opening a brewery,” Crane says. Construction for the brewpub began in the fall of 2016 in the Stationery Factory, a 105,000 square-foot redeveloped mill building on Flansburg Avenue, just a block off Main Street. 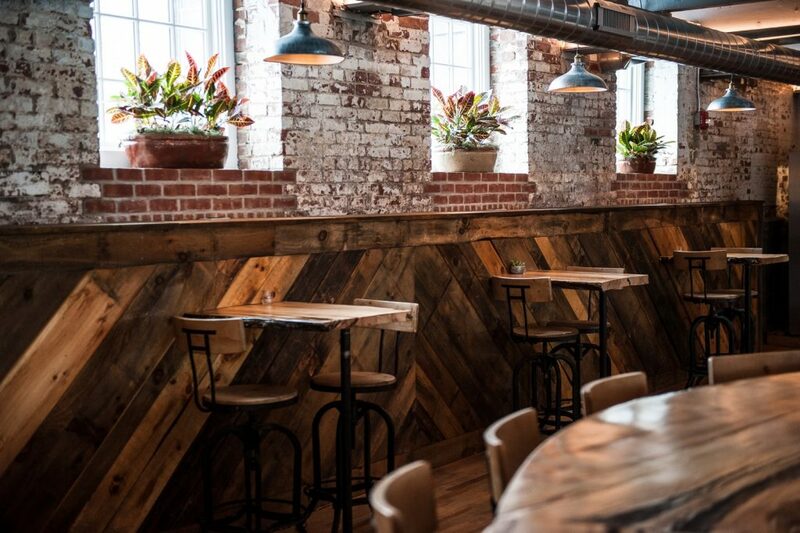 The brewpub retains a lot of the factory’s rough, original character. Hardwood flooring ripped up during the installation of the brewing equipment, for example, became bench seating and table tops in the dining area. According to the brewpub’s website, the tap system at the bar is upcycled from an old factory vacuum pump, and the chandelier is built from old compressed air oil filters. Upstairs, the Stationery Factory houses several business, including an art gallery, a wedding venue, and a distillery called Silver Bear, which makes vodka and maple liqueur (available at the bar downstairs at Shire). But it’s in the basement where the craft beer flows. For now, Crane says, those options include a peach bourbon-barrel-aged saison, a few different iterations of the milk stout, a wild-fermented red ale, and all manner of other beers currently aging in rum, rye whiskey, tequila, wine, and gin barrels. 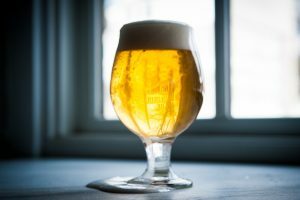 Last year, Crane estimates that the duo brewed about 75 beers, including soured, dry-hopped, and barrel-aged variations on some of their more established beers. Running a brewery is a challenge unto itself. Running a restaurant on top of that, all folded into a 10,000 square-foot space, has been a learning experience. Crane and Whalen learned a lot on the fly. The brewpub business evolved as they recognized the need for more staff dedicated purely to restaurant management, customer service, and front of house. Crane and Whalen also recently hired brewer Mark Geibel, a friend who helped with the carpentry and build-out of this space, to assist with weekly beer production. “I think we’re still figuring out what people want here,” adds Whalen, who works with Crane and Geibel on the production schedule not only for the bar, but for canning and distribution needs. 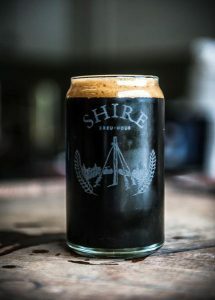 Shire Breu-Hous has several package store contracts, and Crane and Whalen self-distribute their cans throughout Berkshire County. “We’re still figuring out the market, which affects how much we can, and how much we reserve for the tap,” says Whalen. But Shire Breu-House is, after all, a brewpub, and a lot of energy goes into making it a fun place to spend time. Crane and Whalen have expanded the children’s food menu, built out a live music program with events most Fridays and Saturdays, and started offering private parties that offer beer tastings and brewery tours. The restaurant, then, can expand on the creative moves happening in Shire’s basement brewhouse.